Farringdon Station, on the National Heritage list in England, was opened on January 10, 1863 as part of the original Metropolitan Railway, the world’s first underground Metro line. It was subsequently moved two years later when Metropolitan Railway opened an extension to Moorgate. Farringdon Station is one of the most well preserved pieces of early 20th century London Underground Architecture. Customer metrics for Farringdon Station showed increasing congestion and bottlenecks that needed solutions in a major way. Farringdon Station is located in a strategic part of London: centrally located and a major crossroads. By 2018 Farringdon will be the only place where Thameslink, Crossrail and Underground services meet. There are currently two projects involving Farringdon Station. Crossrail is a new east-west railway scheduled for completion in 2018 and Thameslink, a major upgrade to the north-south Thameslink line. 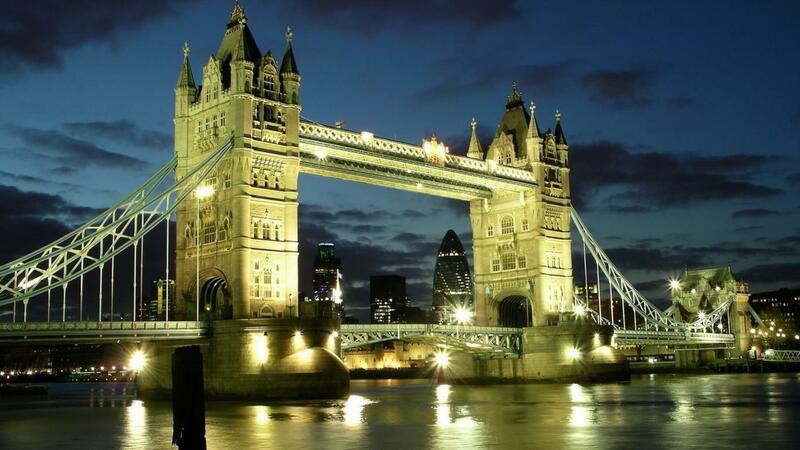 The project involves 26 miles (42 km) of new rail tunnels bored beneath London by eight huge tunneling machines including six earth pressure balance machines that cut through rock and two slurry machines for soft earth tunneling and excavation. 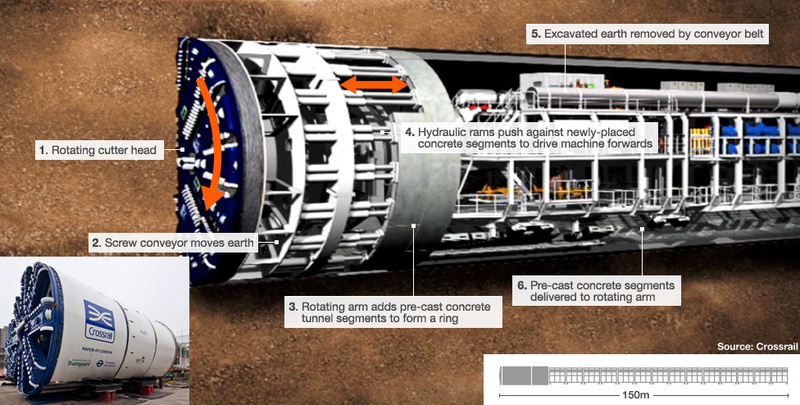 The tunnels will be 20.34 feet (6.2 m) in diameter. Engineers are progressing at the rate of 328 ft (100 m) a week. The first of the project’s five tunnels is a 4 mile (6.4 km) section running from Royal Oak to Farringdon to be completed by the end of 2013. 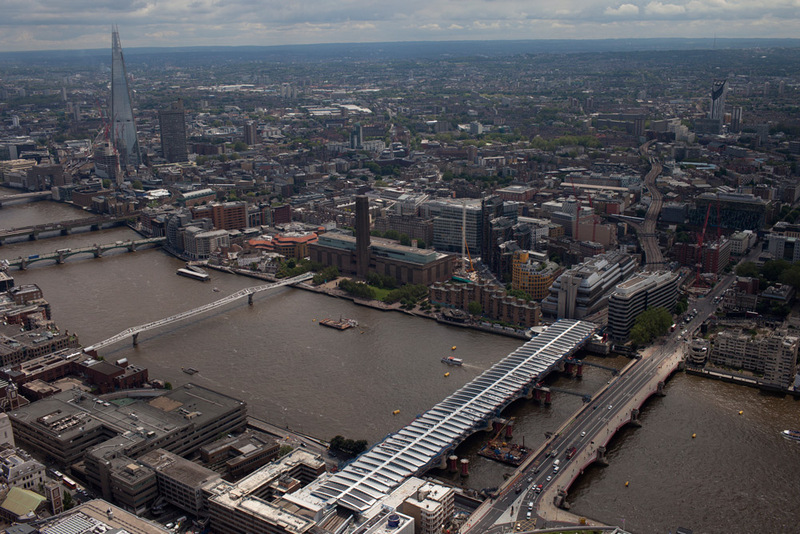 The overall project has 40 construction sites around London including nine new stations. Trains will begin service on the central section in 2018 but Crossrail is not expected to be operational until 2019. 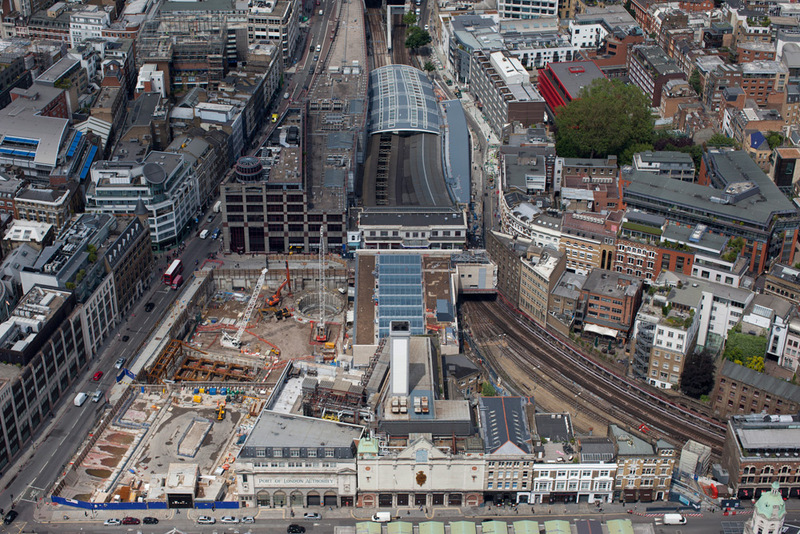 At 165 trains an hour during rush hour Farringdon Station will be London’s central transport hub, relieving congestion on the Underground and delivering tens of thousands of additional commuters each day. Finally, Farringdon Station will provide links to London’s three major airports, Heathrow, Gatwick, and Luton, and to St Pancras International for Eurostar services, while significantly reducing travel times. Team From Berkeley Created This Robot Cockroach and It Will Creep You Out! How Will Environmental & Sustainable Engineering Work?